WPhost is excited to announce our partnership with Cloudflare, the website performance and security company. Cloudflare is a content delivery network (CDN) that increases the performance and security of every website on its network, protecting from a broad range of threats and attacks. Over 7,000,000 websites run on the Cloudflare network—ranging from individual blogs to e-commerce sites to the websites of Fortune 500 companies to national governments. Cloudflare powers almost a trillion monthly page views—more than Amazon, Wikipedia, Twitter, Zynga, AOL, Apple, Bing, eBay, PayPal and Instagram combined—and over 25% of the Internet’s population regularly passes through our network. This is a guest post written and contributed by Cloudflare. Cloudflare makes it easy for any site to be as fast and secure as the Internet giants. Cloudflare was designed to take a hosting platform like WPhost and make it more fast, secure, and reliable. Cloudflare runs 151 data centers strategically located around the world. When you sign up for Cloudflare, we begin routing traffic to the nearest data center. As your traffic passes through the data centers, we intelligently determine what parts of your website are static versus dynamic. The static portions are cached on our servers for a short period of time, typically less than 2 hours before we check to see if they’ve been updated. By automatically moving the static parts of your site closer to your visitors, the overall performance of your site improves significantly. Cloudflare’s intelligent caching system also means you save bandwidth, which means saving money, and decreases the load on your servers, which means your web application will run faster and more efficiently than ever. On average, Cloudflare customers see a 60% decrease in bandwidth usage, and a 65% in total requests to their servers. The overall effect is that Cloudflare will typically cut the load time for pages on your site by 50% which means higher engagement and happier visitors. At the beginning of 2016, Cloudflare experienced and mitigated against some of the largest distributed denial of service (DDoS) attacks ever seen. As attacks like these increase, Cloudflare is stepping up to protect websites. Cloudflare’s security protections offer a broad range of protections against attacks such as DDoS, hacking or spam submitted to a blog or comment form. What is powerful about our approach is that the system gets smarter the more sites that are part of the Cloudflare community. We analyze the traffic patterns of hundreds of millions of visitors in real time and adapt the security systems to ensure good traffic gets through and bad traffic is stopped. In time, our goal is nothing short of making attacks against websites a relic of history. And, given our scale and the billions of different attacks we see and adapt to every year, we’re well on our way to achieving that for sites on the Cloudflare network. Any website can deploy Cloudflare, regardless of your underlying platform. By integrating closely with WPhost, we make the process of setting up Cloudflare “1 click” through your existing WPhost Client Area. We’ve kept the price as low as possible; and Silver, Gold and Platinum plans offered through WPhost are free. Moreover, we never charge you for bandwidth or storage, therefore saving you tons via reduced bandwidth costs. For site owners who would like to take advantage of Cloudflare’s advanced offerings, we also offer a ‘Pro’ tier of service for $20/month. The ‘Pro’ tier includes all of the ‘Free’ tier’s offerings, as well as extra features like a image optimization, mobile acceleration, basic web application firewall (WAF), and 3 page rules. We’re proud that every day more than a thousand new sites, including some of the largest on the web, join the Cloudflare community. If you’re looking for a faster, safer website, you’ve got a good start with WPhost. 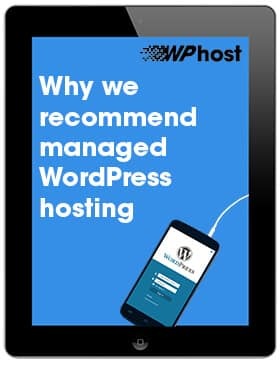 WPhost is New Zealand’s only dedicated managed WordPress host exclusively offering VPS hosting. Copyright © - Cheeky Monkey Hosting t/a WPhost.